The calendar has barely flipped over for 2018 and things are heating up already. That sound of rushing air you heard wasn’t a hurricane, it was just the management team at Bombardier daring to take a deep breath after the stunning ruling from the U.S. International Trade Commission overturning the 292.21 per cent tariff levied earlier on C-Series jets. The deal with Delta Airlines will go ahead. There’s only one problem: who’s going to fly it? The calendar has barely flipped over for 2018 and things are heating up already. While we’re on the subject, when I see a number such as 292.21 per cent, I tend to think that someone out there is just a little too committed to their job. Another story of note for Canada was the (hopefully) first step towards the CF-18 replacement program with a one-day information session in Ottawa for interested parties, which Boeing chose not to attend. Now that Canada has moved ahead with a plan to buy Australia’s surplus F-18s instead of new F/A-18 Super Hornets from Boeing to bridge the gap until the next fighter (whatever it may be) comes on line, one might be inclined to think that Boeing may have overplayed its hand on the C-Series complaint. Interesting times indeed. On the global stage, at the same time the C-Series drama was playing out, we were seeing the curtain starting to descend on the jumbo jet market. 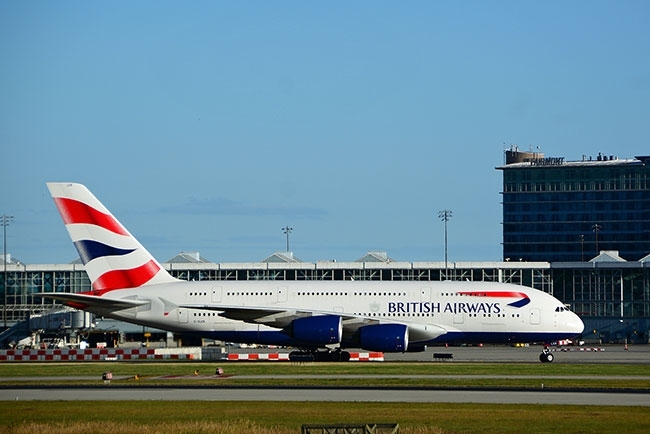 Airbus was facing the end of the A380 program when Emirates stepped in and provided an order that will keep the production line open for another couple of years, and now British Airways is making noises about buying a smaller number of new A380s. The A380 never really gained the acceptance it needed to be a raging success, because it relied on maintaining the hub and spoke networks. Boeing bet against it with the B787, betting on the idea that a smaller, more efficient aircraft can connect markets via direct flights that weren’t even imagined a decade ago. While the 787 and 777 programs thrive, the 747 program is losing momentum. The major American carriers have all parked their 747s and it’s been quite a while since a Canadian carrier had one. We’ve entered an era of “two engines good, four engines bad.” It’s all about the cost to put that airplane in the air and keep it there. To be even more blunt, it’s all about doing it as cheaply as possible. In aviation, after the cost of the aircraft, it’s the cost of the fuel. Every single percentage point you save in fuel costs goes straight to the bottom line. When the 747 came on line, commercial aviation was still a novelty for the masses and it was still glamorous. A lot of the glamour has faded and no matter how airlines market themselves, taking a plane is still largely a matter of getting somewhere. It’s more about where you are going than how you are getting there. The challenge for airlines is to get those load factors up where they want them and keep them there. Smaller aircraft can do that, especially smaller aircraft that can fly incredible distances and eliminate those deadly transfers. The challenge to the airlines and the aircraft manufacturers is to keep their balls in the air. Get the bodies on the aircraft and keep designing and building more efficient aircraft. There’s only one problem: who’s going to fly it? The pilot shortage is a reality that we’ve been staring at for some years now, but it’s not going to go away and it’s going to get a lot worse in the next decade as the last of the baby boomers ride off into retirement. As aviation expands and as more aircraft come into service, who is going to fly them and just where are these next-generation aviators coming from? Consider the size of the air force 50 years ago versus today and think about how many pilots were leaving the RCAF every year and moving into an airline job. The large commercial airlines, being at the top of the food chain, won’t have trouble attracting the talent they need. But the further you move down the food chain, the more challenging it will be to attract and, more importantly, retain staff. Smaller operators are already accepting pilots with bare-minimum qualifications and then losing them as they move on at the first opportunity. In the past year in the U.S., several regional carriers were cancelling flights at the height of the busy summer schedule due to a lack of pilots. Republic Airways filed for bankruptcy, citing amongst its reasons the inability to attract qualified pilots. So here we are, heading into a future were air travel promises to be more convenient than ever, thanks to the efficiency of new aircraft and the flexibility of routes they are able to fly. One rule of this business is that as you solve the problem in front of you it is imperative that you identity the problems the solution is going create. Our problem today is that technological changes have compressed time lines and the future becomes the present before we’re ready. It’s hard to figure out where you want to be when you find yourself already there before you realize it. Paul Dixon is a freelance writer and a photojournalist living in Vancouver.